Miskolc is one of those places where you want to return again and again. With such thoughts, we left this city. 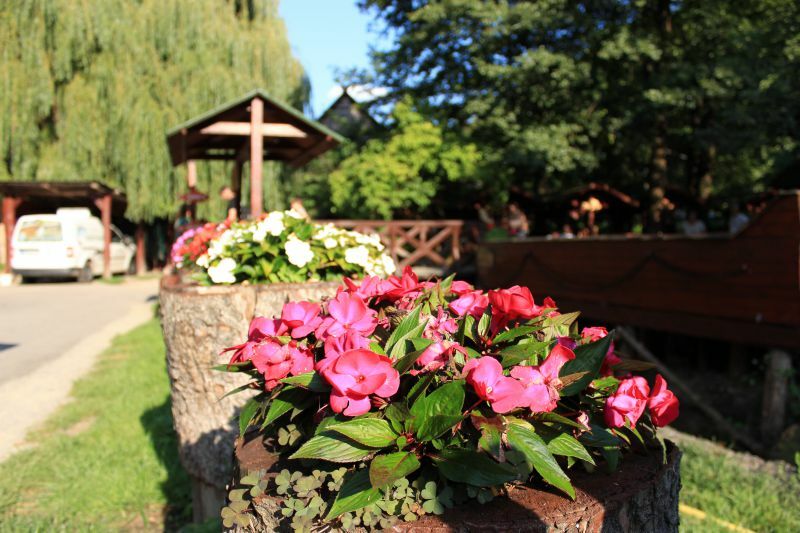 Here you feel comfortable, cozy and it is varied: the attractions of Miskolc, infrastructure, people ... everything contributes to a memorable holiday. Perhaps, the weekend will not be enough to fully enjoy this Hungarian gem. Going here, you'll have to have at least four days. 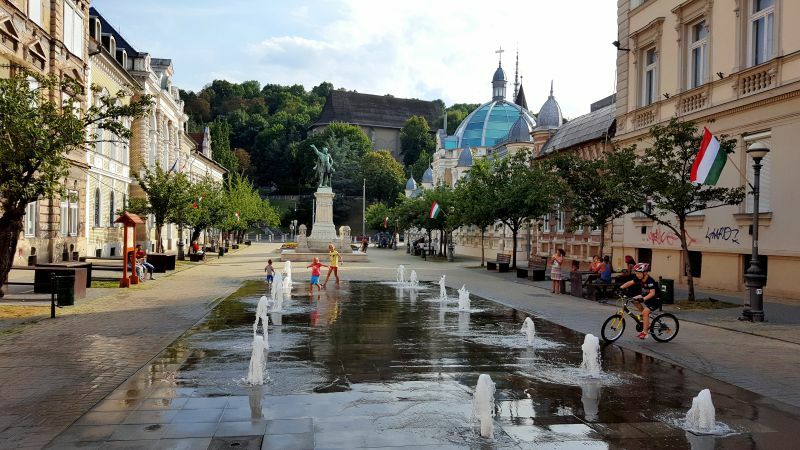 I do not want to torment you with long stories about impressions, we will linger on, perhaps, the most interesting: what is worth seeing in Miskolc. Ahead you will read about the nuances of visiting, tips and of course you will see beautiful photos. "Palota" is exactly the case when the landmark justifies all your expectations. On the Internet, I found very beautiful photos of this castle and its surroundings. Upon arrival, everything turned out to be exactly the same. 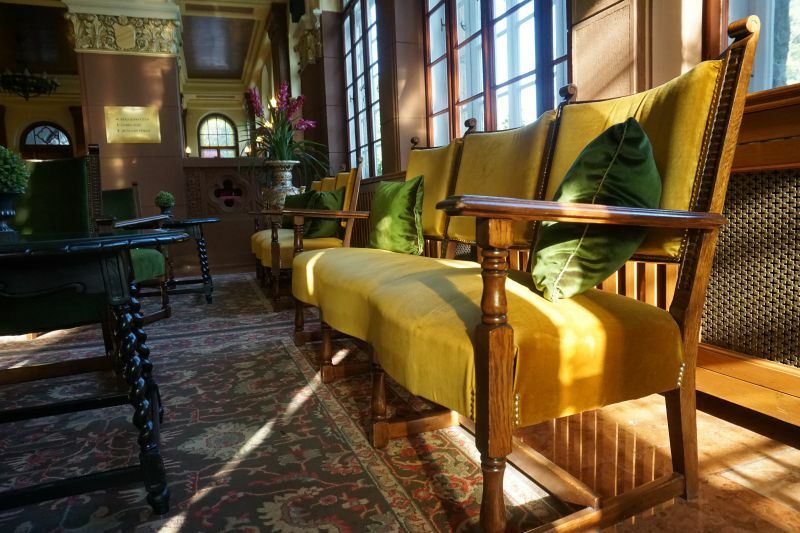 Hotel Palota was built in 1930 in the style of neo-Renaissance. It is a fairy tale castle. 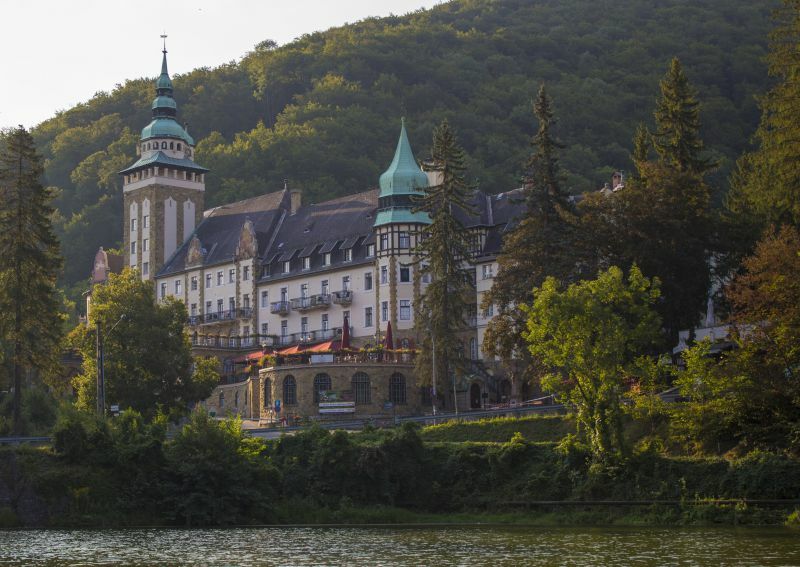 This is a 4-star hotel with stunning views of the lake and gardens, and the Anna cave located literally under the castle. 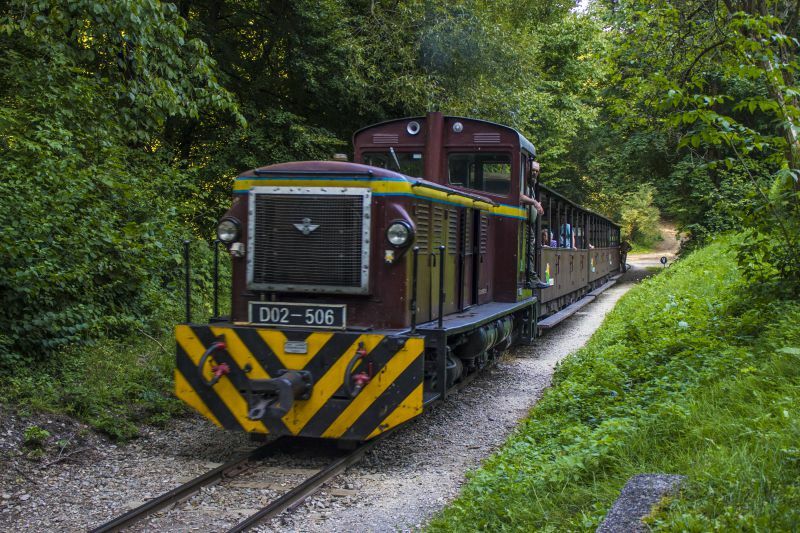 In a few minutes walk from the "Palota" there is a running station of a narrow-gauge railway. The exterior and interior echo each other. Inside there are antique panels, wooden handrails, velvet furniture, a tower with a spiral staircase. It is a hotel with history. Hanging gardens of Lillafüred deserve to be mentioned separately. "Palota" is located on a hill, it is surrounded by a well-kept park with hanging gardens. 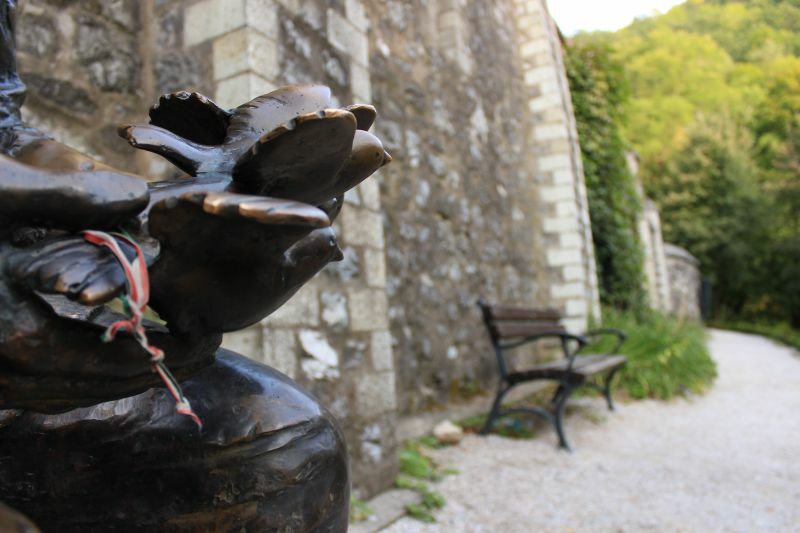 Flower compositions, original sculptures, stone steps, the waterfall Szinva, cave Anna, Hamori Lake – perfectly complement the beauty of the castle. On the lake you can go boating. In winter, the ice rink is open. Cost: the entrance to the gardens is free. Cave Anna can be visited with an excursion (from 26 March to 31 October from 10:00 to 15:00, during winter the tour starts at 12:00). Individual visits to the cave need to be planned in advance. 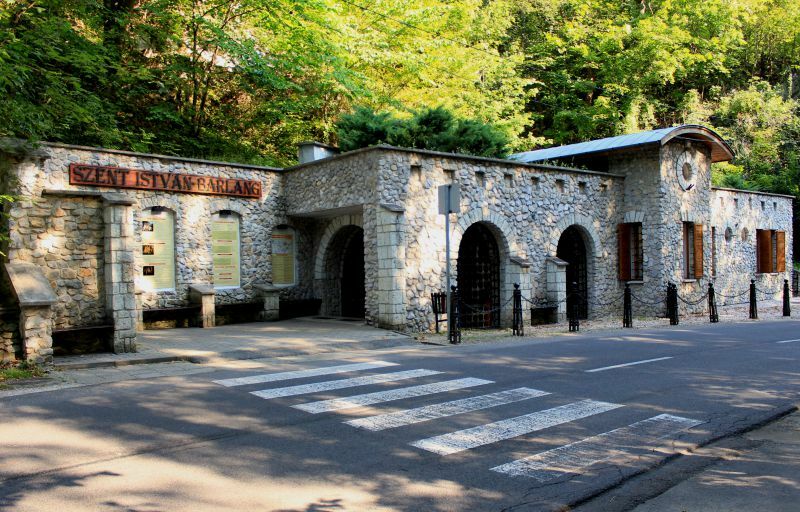 With the Miskolc Pass card, the entrance to the cave is free. The hotel room costs from 126 euros per night. This is a paradise, first of all, for children. If you are on a holiday with your family, be sure to check it out. 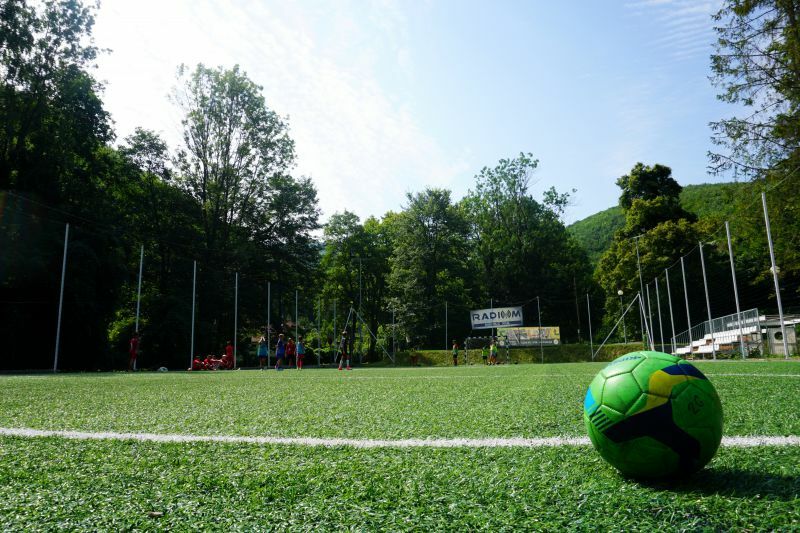 The theme park is dedicated to football, but besides this there is a lot of entertainment for both children and adults. Hilldog, monster bike, crazy drift gokart, huge rope park with various levels of difficulty, laser room, segway and special skiing track, zipline, free fall car, several football fields and much more. 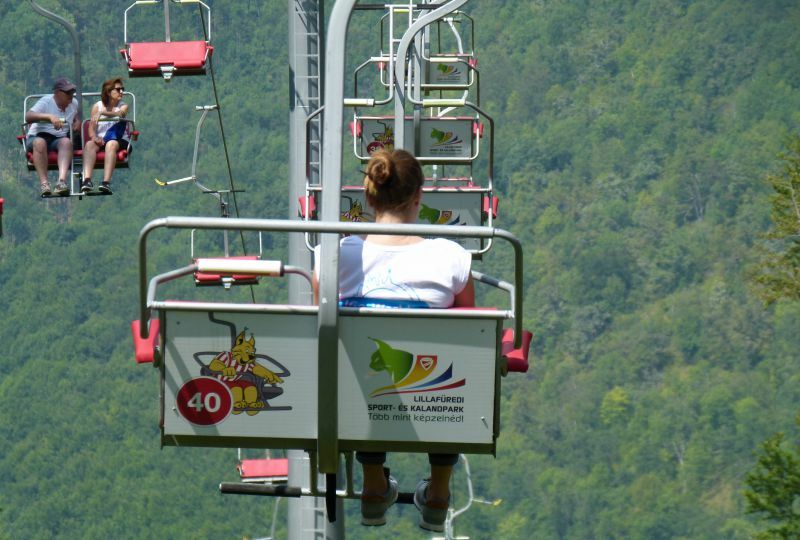 If you walk a little from the amusement park along the road, you will see a chair lift. 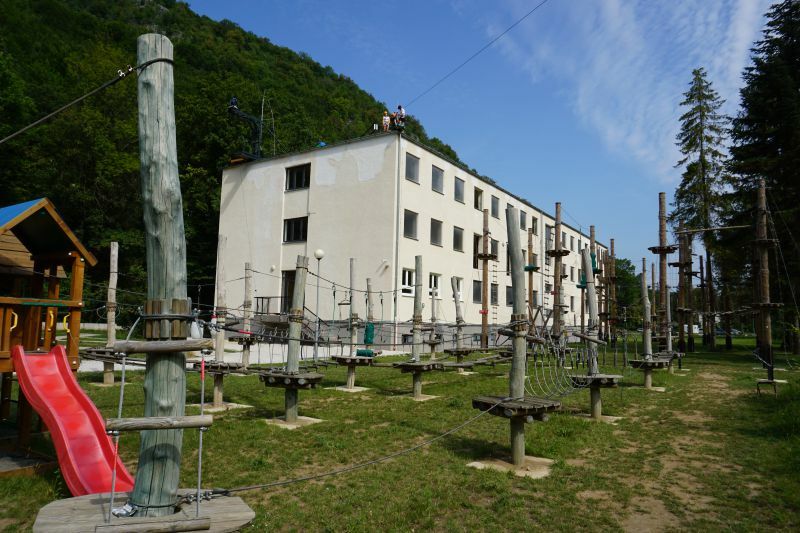 It will take you to the top of one of the hills of the Bükk National Park. If you have free time, take a ride. At the top there is a small cafe-van. Bike routes are also laid everywhere. The lift can be used together with a bicycle. 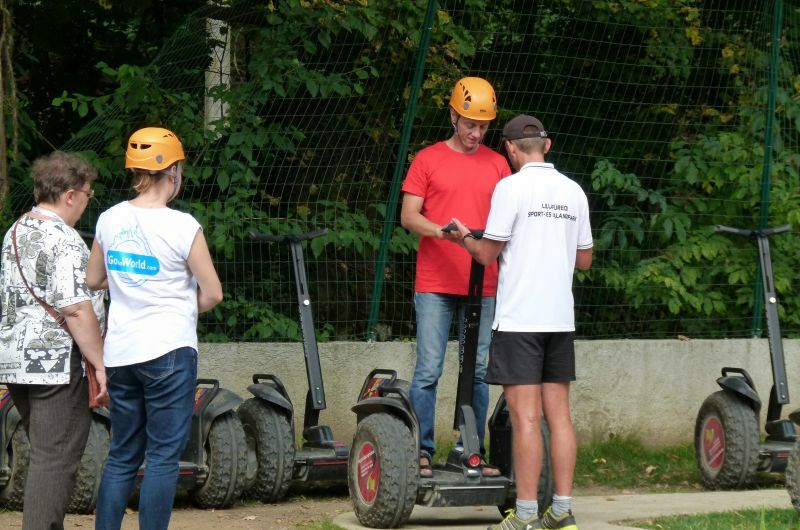 How to get there: if you are a guest of the hotel "Palota", an electric car will take you to the park for free. There is also a bus number 5, you need to get off at the stop Lillafüred. The amusement park is open from Monday to Friday from 10:00 to 18:00, on weekends – until 19:00. One of the stations of the narrow-gauge railway is situated near the hotel "Palota". The forest tram runs according to the schedule and can easily replace, for example, a bus or a car drive around the city. 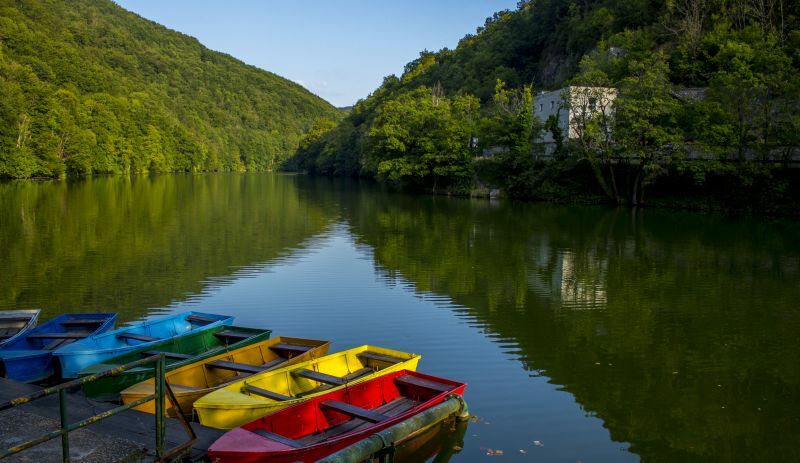 It is much more interesting to observe Miskolc, including Hamori Lake and forests of the Bükk National Park from the open trailers. In winter, closed wagons are used. At Christmas, they say, the train turns into a real fairy tale with bright garlands and magic heroes. You can start your travel along the narrow-gauge railway from the station Dorottya Diósgyőr, where the tram # 1 goes from the center. From Dorottya Diósgyőr the narrow-gauge railway goes to the hotel "Palota", to the Trout farm and further to the last station. There are other stops along the way. Narrow-gauge railway station next to "Palota". 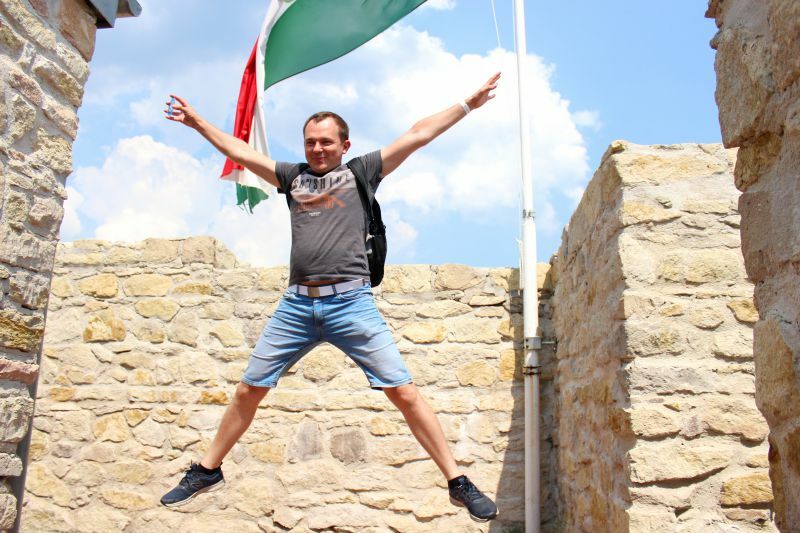 Cost: for adults, travel costs 600 forints, for children – 500 forints. Of course, this is one of the most delicious places in Miskolc. In the Trout farm you will not only taste deliciously prepared trout, but you will also see how it is bred. Pools with fish are filled from the Margit spring, and around the farm, you can enjoy the sight of the hills and forests of the Bükk Nature Reserve. 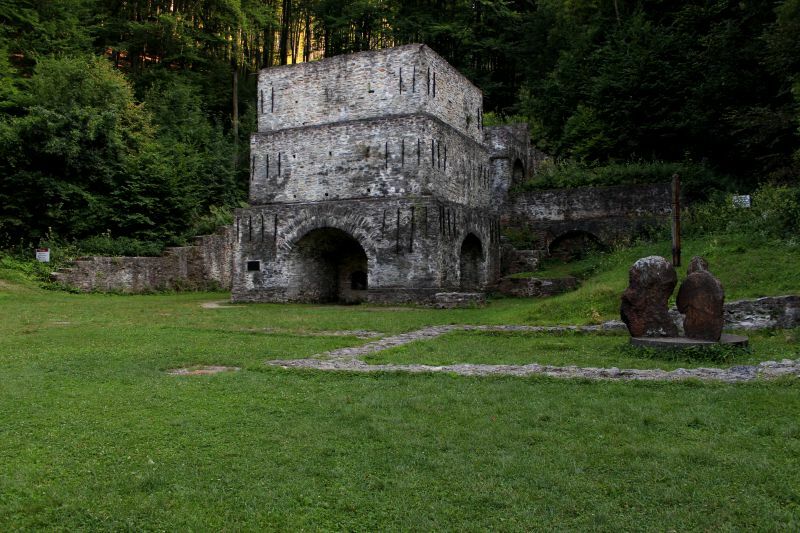 If you go along the narrow-gauge railway in the direction of "Palota", in about 10 minutes you will see an ancient blast furnace and the Massa Museum. There is also a stop of a narrow-gauge railway. Near the pools there is an open-air cafe (in winter you can sit in the covered room), fish is cooked right in front of your eyes according to a family recipe, which is over 20 years old. We were offered a choice of four cooking methods: fried, grilled with bacon, fried with garlic and hot smoked. I have never tasted river trout better than here. 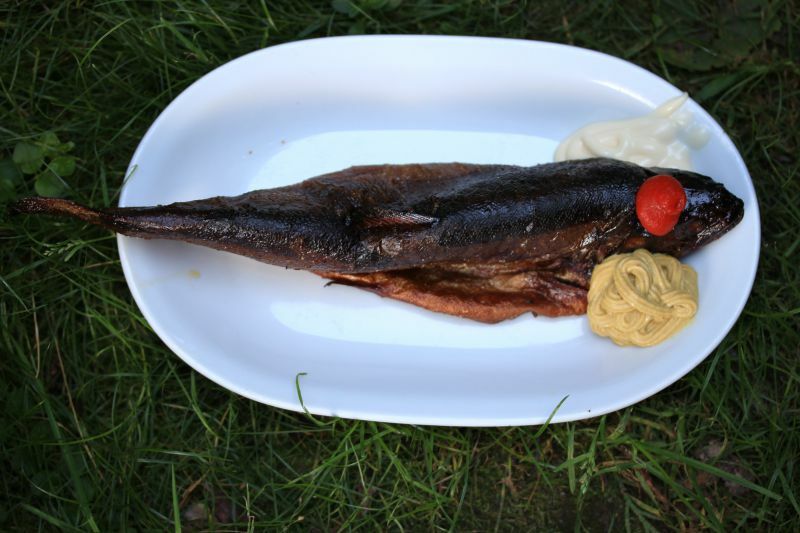 It was a hot smoked trout. Delicious! 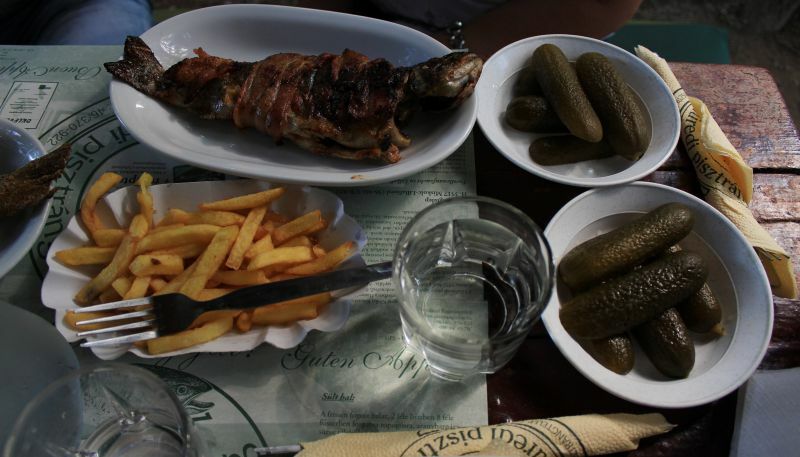 Fish is served with french fries, pickled cucumbers, water. Of course, you can order a drink. 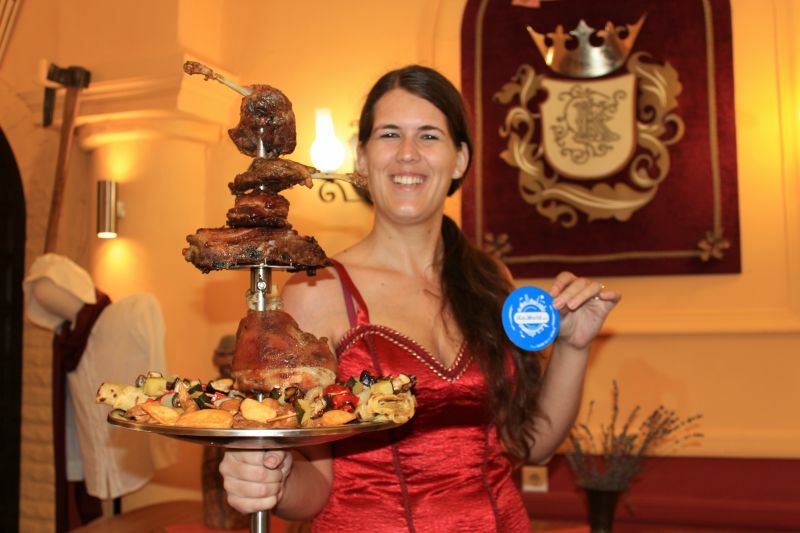 If you want to read more about what is worth trying in Miskolc, go here. Cost: the fish is sold for weight. How to get there: there is a bus №15 to the farm (to the stop Pisztrángkeltető), or you can use a narrow-gauge railway. You need to get out at the Középgaradna stop. Earlier, I wrote about Anna Cave, located under the castle. If you choose between two, it is better to go to St Stephen's Cave. It is more interesting. This is a stalactite cave, discovered in the early 20th century. There are neatly laid paths, railings, steps, lighting. The atmosphere inside is impressive. If you have never been to stalactite caves, you should try it, but be sure to take warm clothes – the cave maintains a constant temperature of about 10 degrees Celsius. The tour lasts about half an hour. This is allowed only with a guide. In addition to this, inside a cave, people with respiratory problems are treated in separate rooms. The air here has a beneficial effect on the body. Cost: with a card Miskolc Pass the entrance to the cave is free. The cave is open in the summer from 9:00 to 17:00, in the winter – from 9:00 to 14:00. How to get there: there is a bus number 5, you need to get off at the stop István-barlang. However, from the hotel "Palota" you can walk, it will take 20 minutes. Adults and children will like it here: the joy of splashing in the water is indescribable! It is even more great that bathing will also provide a therapeutic effect. The bath water contains iodine, bromine, calcium, magnesium, radon. 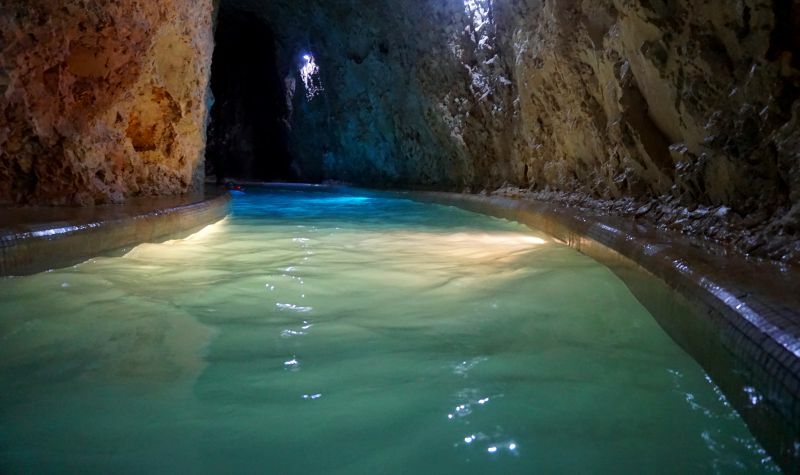 The highlight of the bath is a real karst cave in which swimming pools, tunnels, courses, waterfalls, bridges are refined. The original lighting creates a pleasant atmosphere. The only negative is a lot of people in the season, but even at this time you can find peace there. The most popular places are the hydromassage pools. In addition, there are saunas, baths, steam rooms, a solarium – you will not be bored. 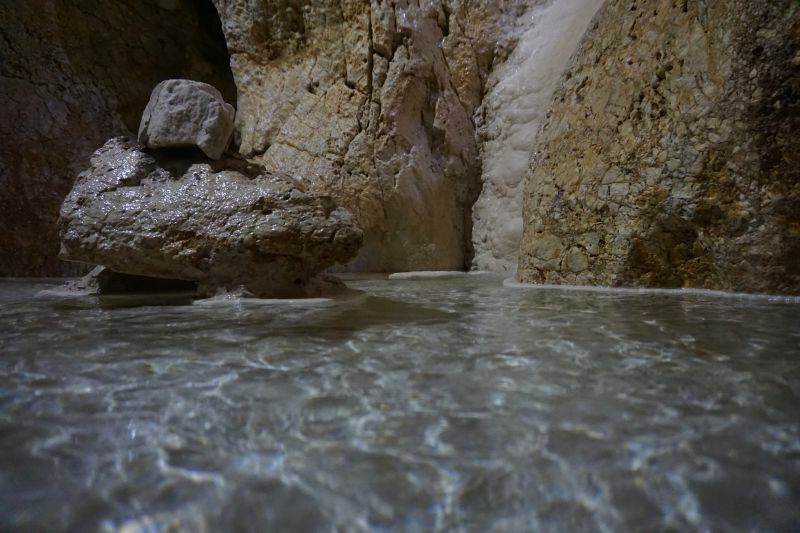 The water in the thermal pools reaches 36 degrees Celsius. In a cave bath is incredibly cool! At first your eyes roam – you do not know which pool to go first. Some of them are located in the open air, others – in a cave. We came here in the summer, I can imagine how interesting it is in winter! Cost: unlimited ticket for an adult for one day costs 2050 forints, for children – 1650 forints. With the Miskolc Pass card, admission is free. The swimming pool is open from 9:00 to 20:00. How to get there: from the center of Miskolc, there is a bus number 2, you can get on the street Szentpáli and go to the last stop of Miskolctapolca. From there, about 200 meters walk to the swimming pool. Having bathed to your fill, of course, you will want to taste something delicious. 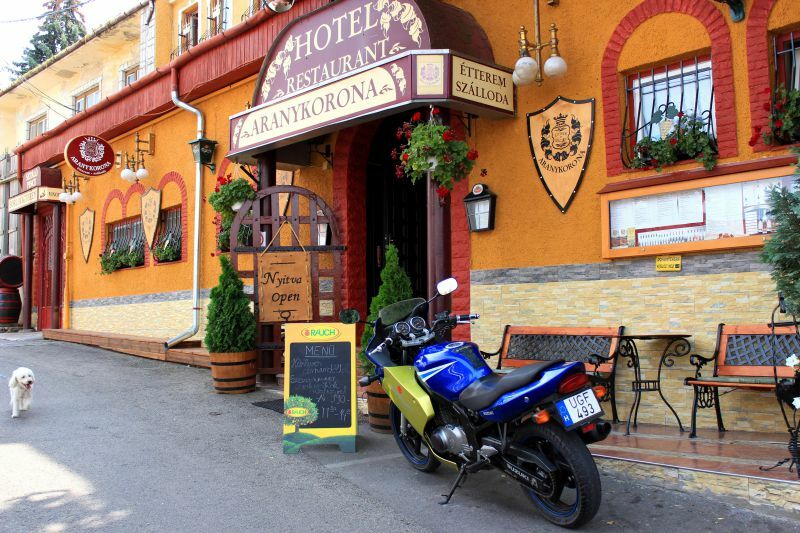 In general, there are enough restaurants and cafes in Miskolc. But I prepared something special for you. Aranykorona is not just a restaurant. 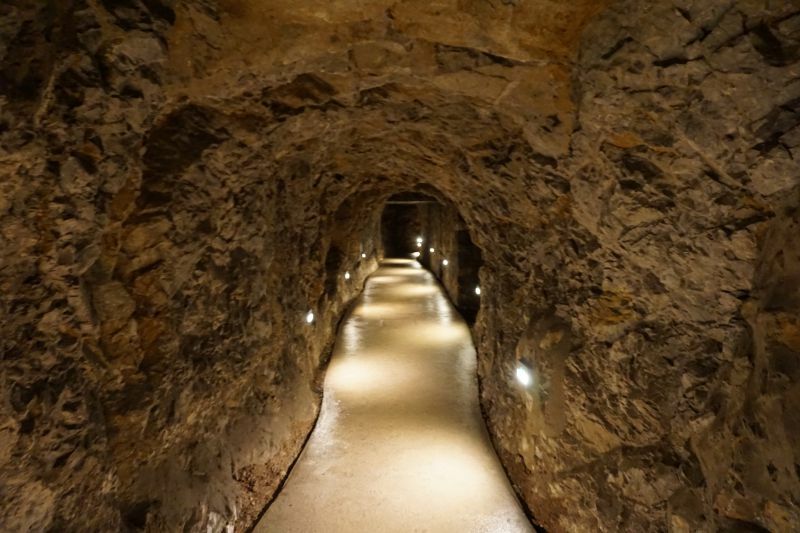 If you make arrangements in advance or if you are lucky, without preliminary order, you will get the excursion of the three-level wine cellar, and also see an interesting collection of kitchen utensils. Restaurant with a history. I like such places, especially if the atmosphere is complemented by delicious cuisine. And the assorted meat in Aranykorona was amazing. I'm writing and mouth-watering! Dessert pleased even more. 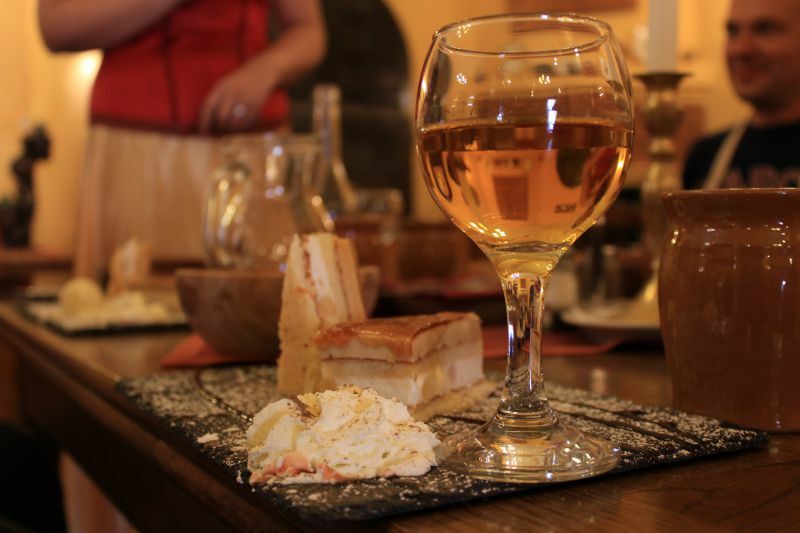 Tokaj white wine "Azu" is one of the best dessert wines that I tried. I advise not only to try "Azu" in the restaurant, but also to take some home with you. You can buy wine in Miskolc in one of the wine houses, in the same Aranykorona, or in the supermarket. This will be the best souvenir from Miskolc. Winemakers advise to take in the account the average price for a bottle of wine. This is somewhere around 2000-3000 forints. 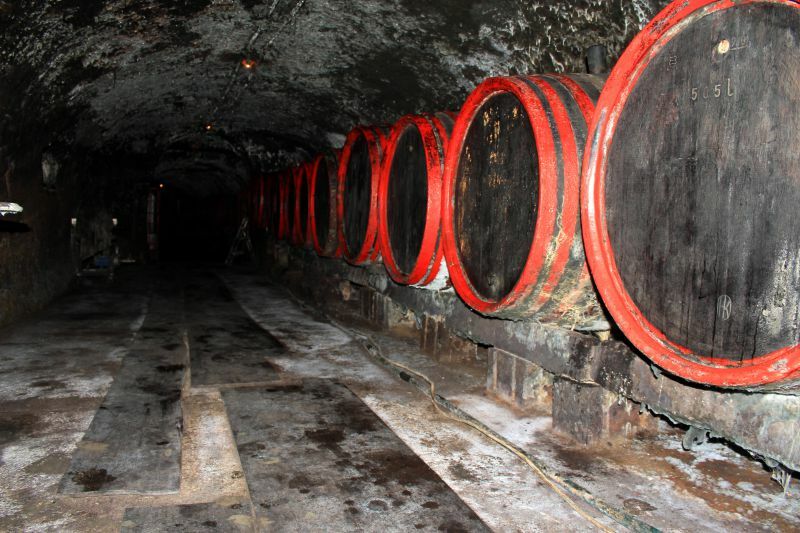 By the way, there are a lot of wine cellars in Miskolc and you can enjoy wine here. Where is it situated: Kisavas Első sor 19-20. You need to get to the Népkert stop, for this you can take bus number 2, 12, 14, 20, 28, 43, 44. Then walk about 10 minutes. In Aranykorona various holidays, banquets, tastings are held – it is quite a popular place. By the way, a small hotel is open at the restaurant. At first glance, there is nothing special about the castle. But when you find out that Diosgyor was rebuilt from the ruins and that it happened just a few years ago, curiosity takes over and we are going to buy tickets. Once inside, pay attention to the dark inserts in the supports, in the walls, while the castle is light-colored itself. The Hungarians deliberately left the surviving elements of the castle so that we could estimate the scale of the destruction. The interior gives you the feeling of the novelty and antiquity at the same time. 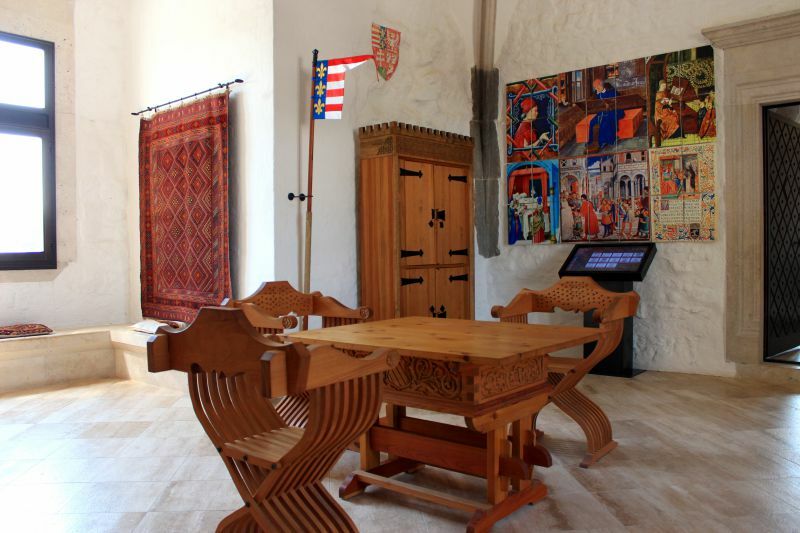 Furniture and decor elements are recreated according to the patterns of the Middle Ages. You can sit almost everywhere and try everything. Various activities are held in the castle. We witnessed presentation of medieval weapons. For those who are not afraid of heights and stairs, I advise you to climb to the observation tower – there is a beautiful panorama of the city. 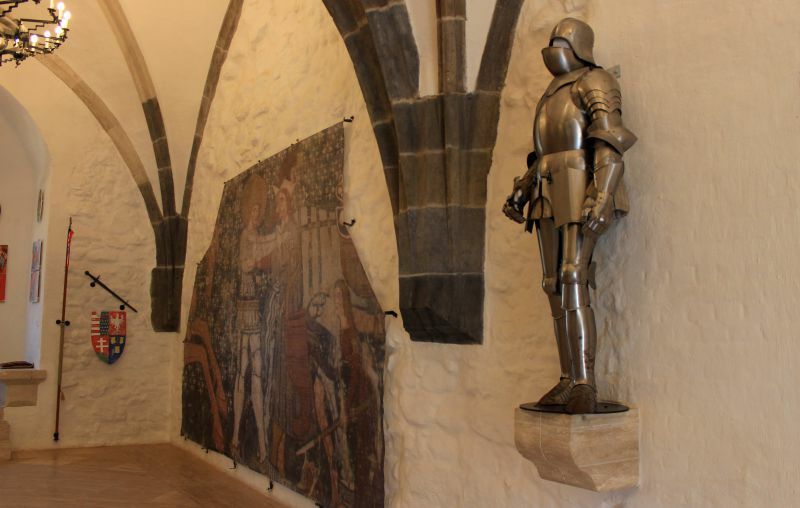 For people who are interested in the history of the fortress, there is a round room where the film about Diosgyor is shown in one of the halls on the ground floor. It is in Hungarian, but I still advise you to look – everything is unordinary, beautiful and understandable even without the knowledge of the language. Next to the castle there is the Tournament field. 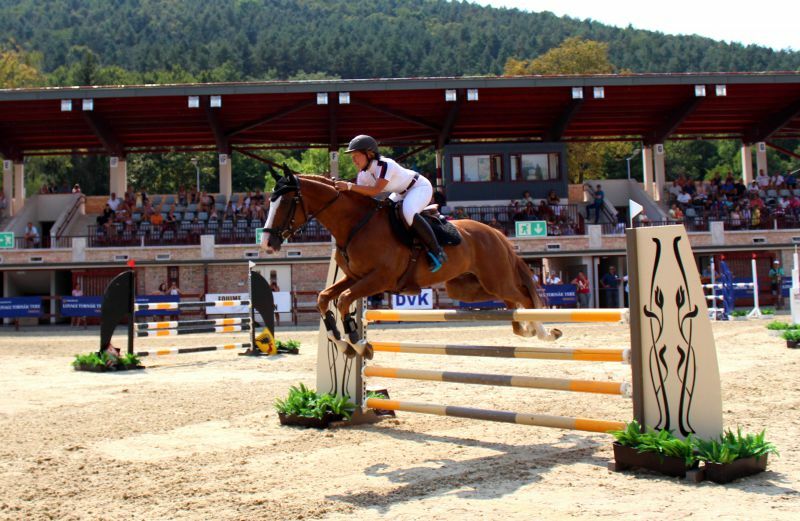 Various holidays, competitions, festivals, exhibitions are held here. If you see one of them – great! Cost: tickets can be bought in a small one-story building near the entrance to the castle. How to get there: tram number 1 – passes through the city center. You need to exit at the stop Diósgyőr városközpont. Tip: residents of Miskolc are proud of their water. Not only bathing facilities, but also drinking water. In the city you can often find drinking fountains. The water is clean – you can safely drink it. 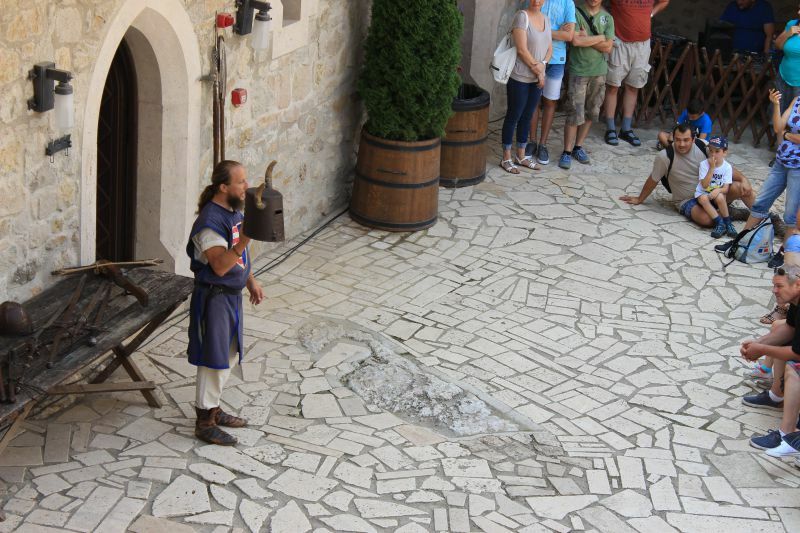 So, in one of the walls of the Square of knight tournaments you will see a faucet where you can quench your thirst. 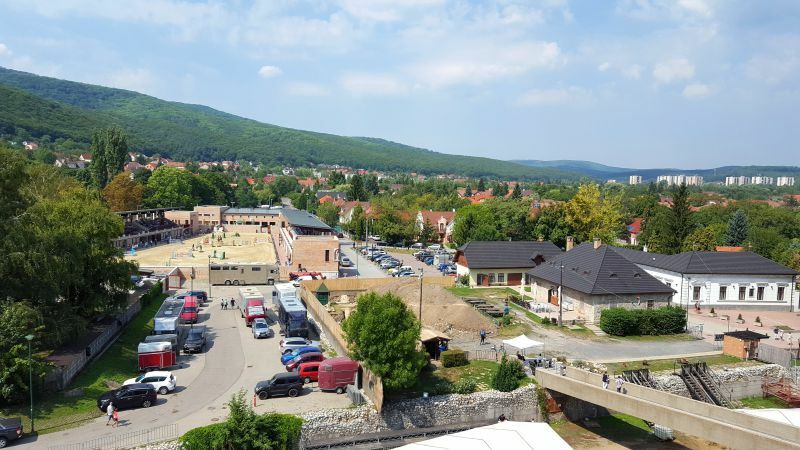 Everything that I described above are the attractions of Miskolc, located outside its center – in the three most interesting districts: Lillafudred, Tapolca and Diosgyor. It would be unreasonable to assume that the most interesting things are outside the city. If you do not like to visit museums, one day will be enough to get acquainted with the most beautiful and memorable sights of the center. 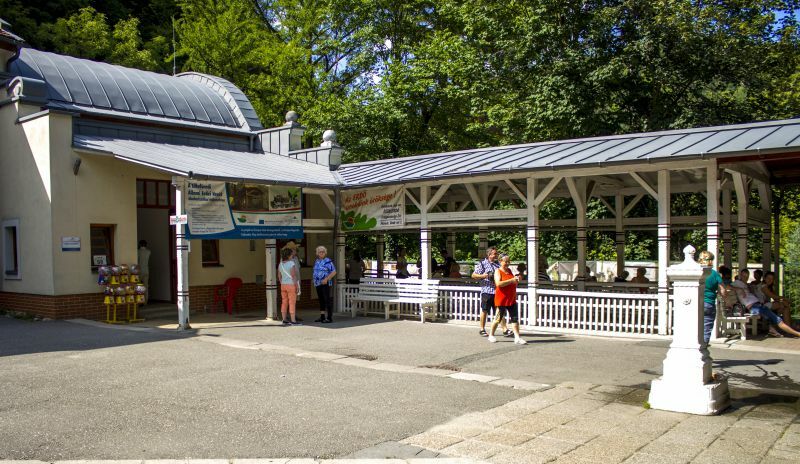 Among other things, I advise you to look into the tourist information center, where people will help you with many questions, including the purchase of Miskolc Pass. Further in the widget you can see places that are worth visiting in Miskolc, or rather in its center. About Miskolc Pass: this is a special tourist card, which can be purchased at the info center located in the heart of Miskolc (Széchenyi István út 16). There are several types of card, calculated for a different number of days. 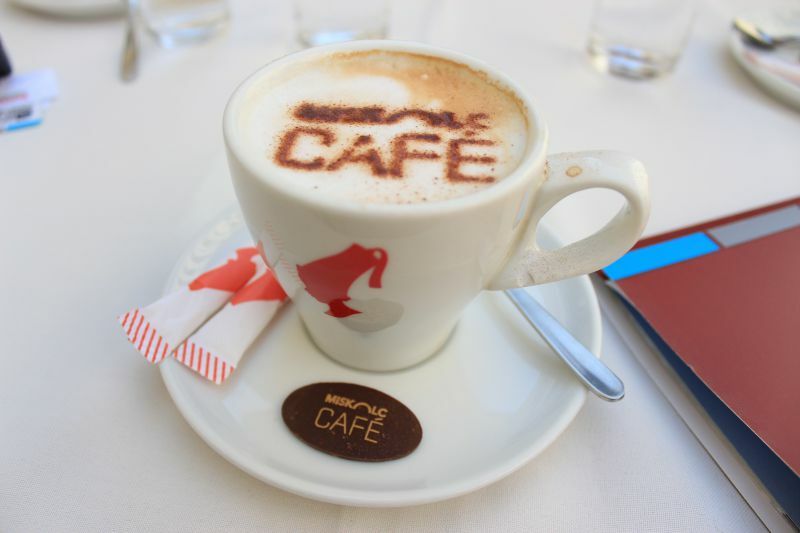 Depending on the type of card you get free entrance to most attractions, free travel in transport, as well as discounts at restaurants and cafes. The districts of Lillafüred, Tapolca and Diosgyor. Preparing for the trip and collecting information about Miskolc, I got the impression that Lillafüred is an independent town. As it turned out, Lillafüred, Tapolca and Diosgyor are the districts of the city. They are the most popular attractions of Miskolc. All of them are connected by a transport web and it is quite simple to get from one to another, even with transferring – everything is thought out very well. Photos in the article were made by IGotoWorld Photo Group: Oleksandr Safronov, Eugene Naryvsky, Tanya Smirnova.